Welcome! This is our course Methodology for Urbanism at the TU Delft. But why do we have a “methodology course” for Urbanism students? What’s ‘methodology’ anyway? In the Netherlands, there is a special brand of urban studies and design and planning practices called ‘Urbanism’, which successfully blends elements of urban design, spatial planning and environmental engineering. Urbanism is not a pure discipline, but one that draws inputs from a myriad of other disciplines (i.e. the social sciences, the physical sciences, and very particularly, design). Therefore, when teaching ‘urbanism’ it is necessary to articulate different research paradigms into a meaningful narrative. This goal will be more easily met if relationships between the various disciplines that are taught in our courses are discussed in a clear and systematic manner, making different research paradigms explicit, and clarifying their logics of enquiry and methods. This is why we have this course. 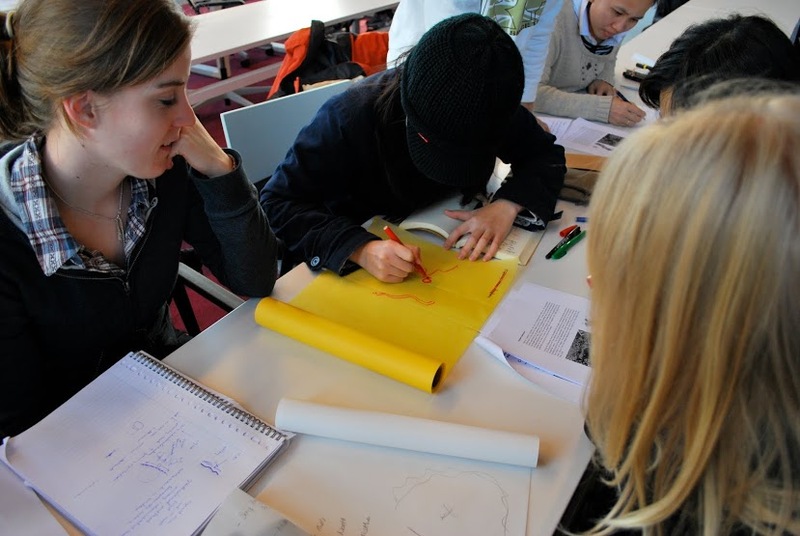 On close inspection, we learn that the Department of Urbanism of the TU Delft offers a multitude of qualifications in different areas that are relevant to Urbanism: urban design, landscape architecture, spatial planning and strategy, metropolitan and regional design, to cite a few. There is a crucial element of design practice in our courses and the practical elements of urbanism are emphasised. Our courses are always ‘propositional’: they propose solutions and desirable futures. As a result, there is some disagreement about the nature of the education offered and the role of scientific research in different areas in Urbanism. This course was developed as a product of TU Delft’s collaboration with the Group “Research into Practice” of the University of Hertfordshire (UK) and tackles the relationship between research, planning, design and engineering, promoting a dialogue between different logics of enquiry and methodologies. It explores new relationships between elements that bind those different research paradigms, such as the relationships between textual communication and image, form and content, rhetoric and experience and questions and methods. It relates these elements that are relevant to Urbanism to established academic research standards. What does this course looks like? 1. What is knowledge and what is scientific knowledge? What kinds of knowledge ought we pursue in an Urbanism course, where we must integrate planning theory with design practice? 2. What is Urbanism, how does it compare to other built environment studies traditions around the world? What is the role of research in Urbanism? What is the role of practice? 3. What is Spatial Planning? What is Urban Design? Role of research and practice in both. 4. What are logics of enquiry and how do they relate to the construction of the object of study? How do different logics of enquiry ask different questions and what are valid methods to answer those questions? 5. What is the relationship between textual communication and drawing? How do they fit in different logics of enquiry? Is there a specific scientific logic of enquiry for design? What can you communicate with words and what with drawings? How do they complement each other in an academic environment? 6. What is the value of theory for planning and design practice? What is the role of theory in knowledge formation? What are relevant theories for urban planners and designers? Is it possible to connect theory and planning and design practice? How? 7. What are relevant tools for research in the social sciences? And in planning and design practice? 8. What are design and planning methodologies? Which ones are used in the course at TU Delft? What is a design process? What is strategy making? 9. Theories on communicative knowledge formation and its implications for planning and design practice. 10. What is ethics? Is there an ethics of the build environment? Is there an ethics in Urbanism? What are examples of codes of ethics around the world and how do people think about ethical problems concerning the planning and design practice around the world? 11. What is participatory planning and design and why do we need participation in planning and designing cities?